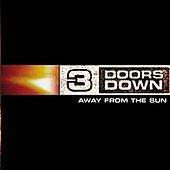 The members of 3 Doors Down retreated back to their hometown in Mississippi to record the follow-up to their unexpectedly massively successful debut. Out of the public eye, the group was able to create a no-nonsense album of melodic hard-rock -- one that brought them even more success. The lead-off single "When I'm Gone" is indicative of their commercial strengths.